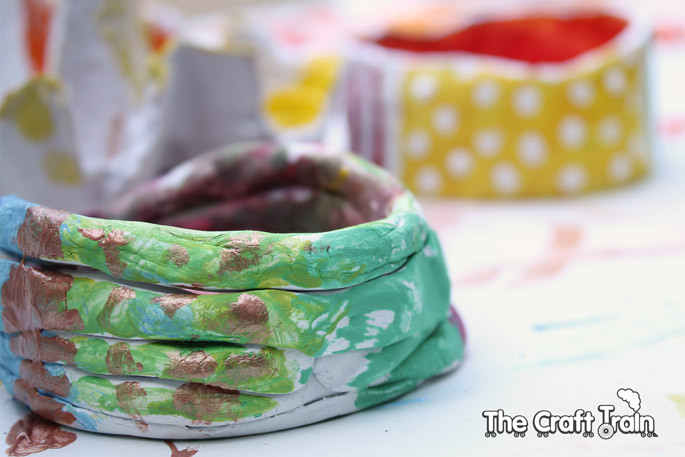 All of our readers know how much we love crafts. I love them, my kids love them and we have them hanging up and on display all over the house. 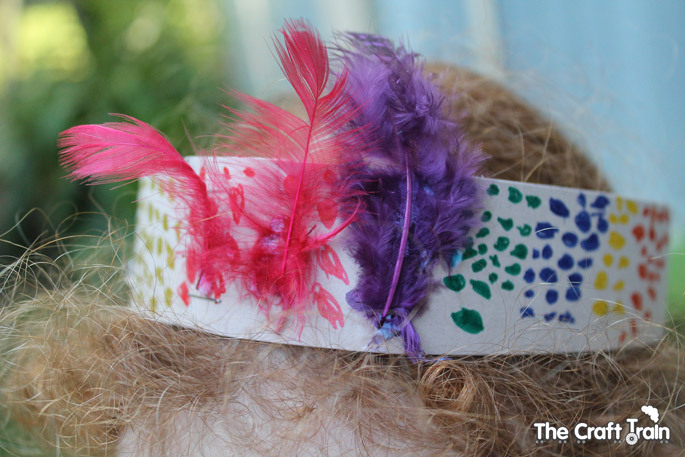 The girls’ canvas paintings line the hallway, their artworks cover the fridge and everywhere you look there are random toilet roll creations and kid-made craft projects looking fabulous – if a tad messy – on every spare surface. Where there are no art or craft projects there are half-finished creative works, and don’t even get me started on the craft-materials storage problem I have. A good decluttering to me is really just another excuse to go out and buy a few more (very necessary) supplies from the craft store. The kids almost always have an enormous pile of papers, drawings, textas and stickers on their desk in their bedroom, which gets tidied up daily but still, just as soon as it’s tidy the creative mess reappears again. It probably looks to an outsider as though we are all either completely craft-obsessed or that we have way too much time on our hands. It’s a good thing I have a very understanding husband. So it’s plain to see that the main reason we craft at our place is because we enjoy it, but there are lots of benefits to crafting other than having fun – although that in itself should be reason enough. 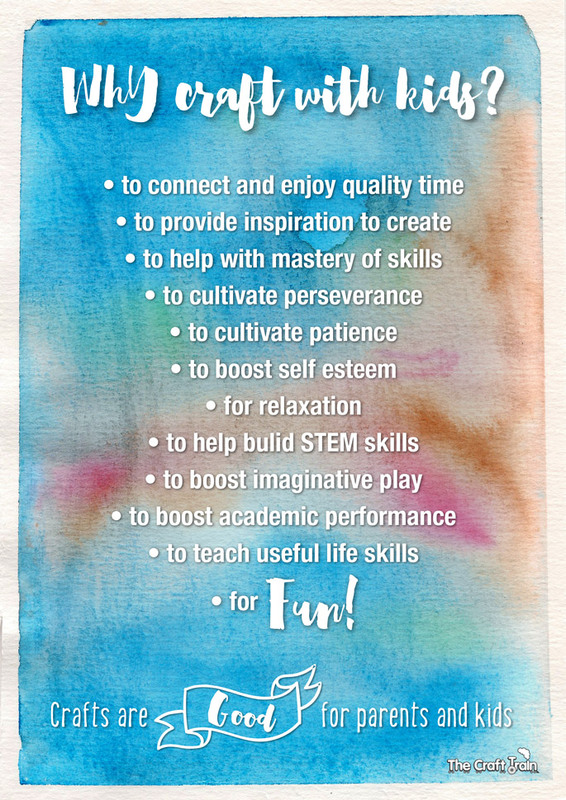 I’ve put a little list of positives together because I honestly believe that crafts can only be beneficial in a creative and developmental sense. 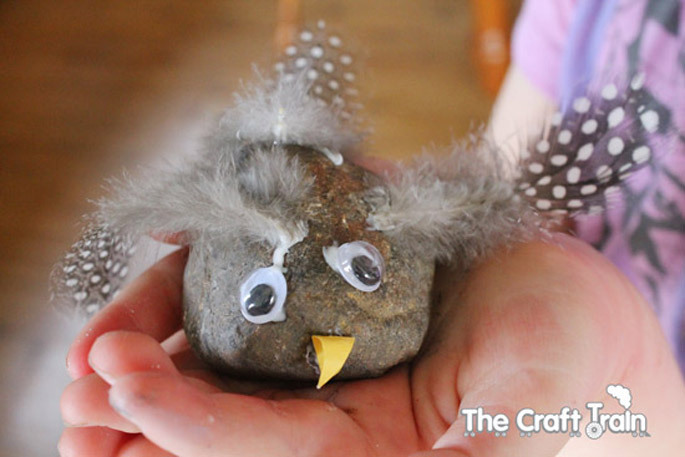 Kids love craft, enough said. Children love to spend time with their parents doing something they enjoy. Crafting together is quality time spent with somebody you love, and quality time is something that will give them fond memories and stay with them for the rest of their lives. One idea begets another. Making something with an end product in mind is not so restrictive when you think of the bigger picture. Each and every good idea can lead to another good idea and have a domino effect. This is why brainstorming is so effective a tool for idea-generation, and why many adults spend a ridiculous amount of time browsing Pinterest. Every time we come up with a creative idea we a drawing on our well of past experience, what we have seen done before, what we know is already possible and applying it to what is possible now that we know all these things. 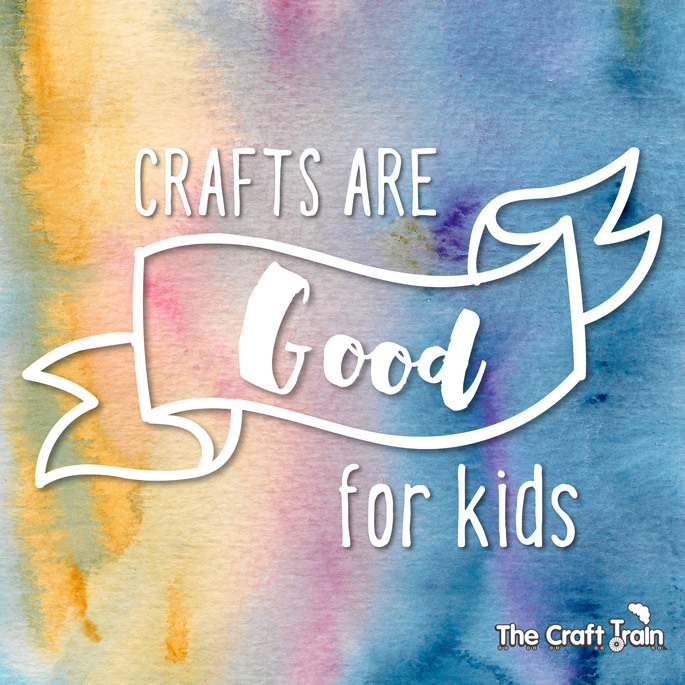 Crafts with end products in mind require a certain level of skill to complete, and every time a child learns a new skill it’s a boost to their confidence and pride. 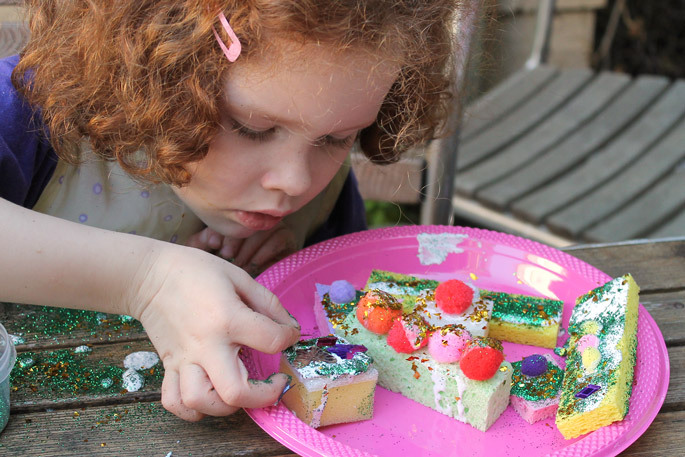 New skills help kids to become more capable, and this in turn boosts their ability to come up with ways to make their own open-ended creative projects in their own time. 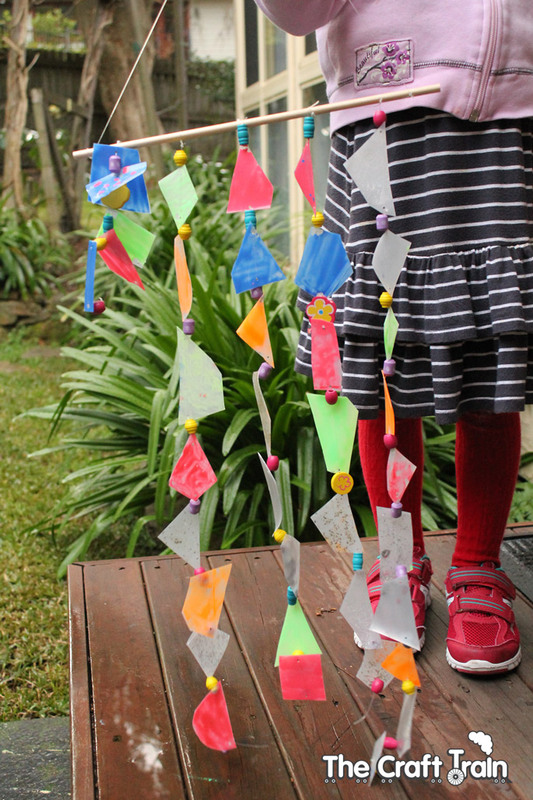 Some crafts which seem very simple to adults are tricky for little fingers, and it can take great perseverance to learn the new skills as mentioned in the above point. Perseverance is a good quality to have. Crafts take time to complete, and spending the time it takes to complete something requires patience. With patience we can all achieve a lot more. Making something and finishing a project, then putting it on display in your home boosts your child’s self esteem. They are proud of what they’ve made! Letting your mind focus on making something without pressure or stress (craft time should NOT be stressful) allows your other thoughts to take a rest, helping you to achieve inner calm and relaxation. Probably this is why I feel the need to keep being creative, and why my kids do too, and why creative hobbies and pass times are so damn addictive! Many crafts involve patterns – think beading, threading, mosaics and weaving. Others involve building and construction – think puppet making, cardboard castles and box crafts. These all help kids to develop early math and creative problem-solving skills. I’m throwing this one in here because I’ve seen with my own eyes how crafting with my kids with an end product in mind has fuelled their inner creative fire. They are pretty much always making things, and often I can see the echo of a project we have done together in something they have made. 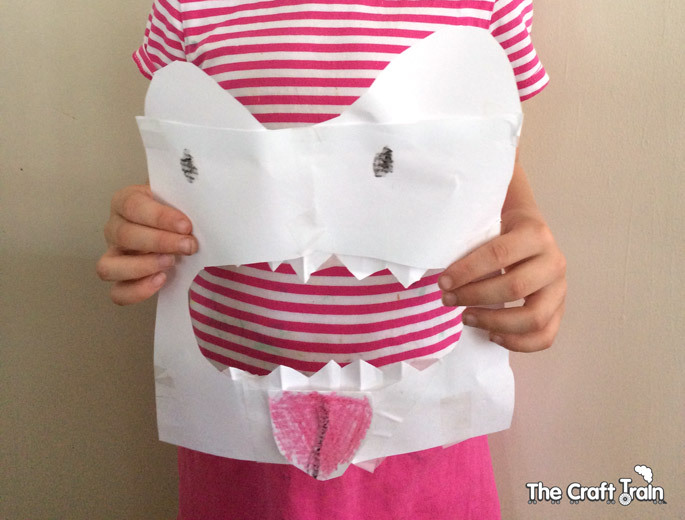 For example I showed my daughter how to make a simple pop-up monster face one day and for the next two weeks she made paper monsters along with other characters of all descriptions as masks, paper-cut outs and more. They were way cooler than my ordinary pop-up! New techniques they have learned can be seen in many of the things they make of their own accord. Lots of our crafts are DIY toys and my girls will then spend hours using them in play, often until they become all dog-eared and fall apart. They LOVE that they are playing with toys they made themselves. Before the industrial revolution traditional skills and handcrafts were considered more important than academics for kids – only the intellectual types actually finished high school. In this current day and age our society obsesses over early childhood academics and getting higher test scores at school. Ironically, spending more time on the creative arts has been shown to boost academic performance. Just like cooking from scratch, being able to make something from scratch is simply better – it’s better for the environment, for humanitarian reasons, it’s less processed and it’s a great skill to have. We often use what we make. As mentioned above, many crafts get used as toys. In addition to that we have also made jewellery boxes from egg cartons, learning toys from scraps of cardboard, clay pots which are still used for holding trinkets in two years later, handmade gifts and more. Most of our artworks and crafts with no real purpose are used as decorations to give the home a happy vibe for at least as long as it takes until the next fabulous creation comes along. So what are you waiting for? Time to get crafting! 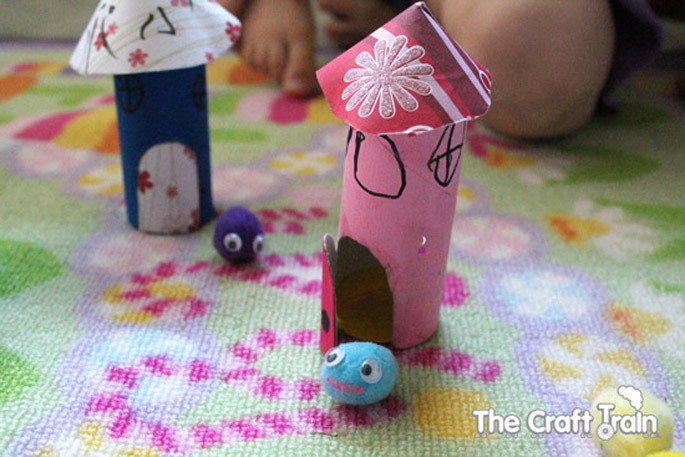 You can find lots more fun ideas on our craft and play board on Pinterest too. Thank you for sharing this post! I am sure it will put many people at ease! How gorgeous and creative are your crafts! Definitely a great food for thought! Love it! Yes! I agree with you 🙂 Crafts are fun. 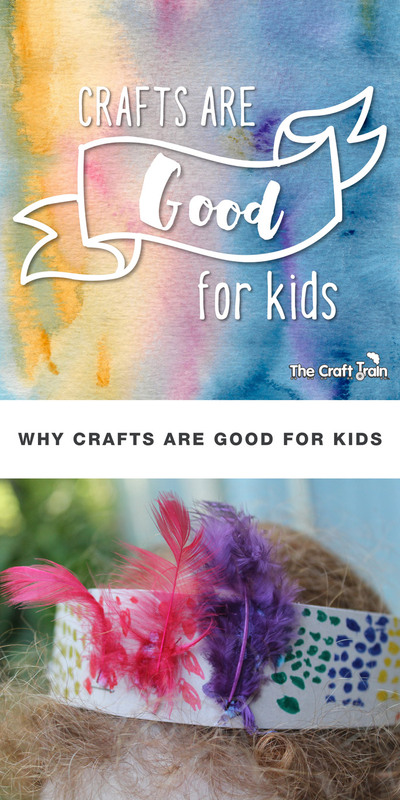 I had no idea that crafts and art were so helpful for kids. It’s pretty great that kids can learn how to be patient from doing longer projects. My two sons really need to learn that lesson, so I’ll probably try to get them to do more art things. I think most kids (and many adults!) need to work on patience. I know arts and crafts have helped me to become more patient too. Very nice blog. Properly explained all the aspects with lots of high-quality images. I just loved reading this. Crafts are the best!!! My son has learned patience and persistence pays off. The Stem crafts are the best. He’s progressed to LEGO Robotics, at 6 yrs old. They really are so worthwhile aren’t they. Well done to your son!